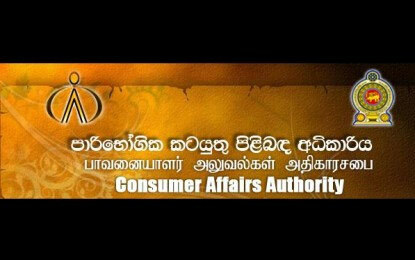 Consumer Affairs Authority (CAA) according to the complaints received regarding the violation of MRP for rice has carried out 159 raids island-wide during the last 48 hours. During the raids carried out on Friday (24th) and on Saturday (25th) officials have identified 63 places that sold rice exceeding the MRP and 3,590 kilograms of expired rice were taken into the custody from Colombo (2,550 kg) and Akurana (1,040 kg). Minister of Industry and Commerce Rishard Bathiudeen, has instructed the officials of CAA to carry out raids and to take legal action against offenders. He said the MRP for rice was decided after discussed with relevant parties. Selling expired or spoiled rice is also an offence, minister added. Meanwhile, the Chairman of CAA said that they were receiving complaints from public regarding the violation of MRP for rice. He added that most of the traders are selling rice at MRP due to the raids carried out by the CAA. Those who exceeded the MRP and sold expired rice will be presented before court.